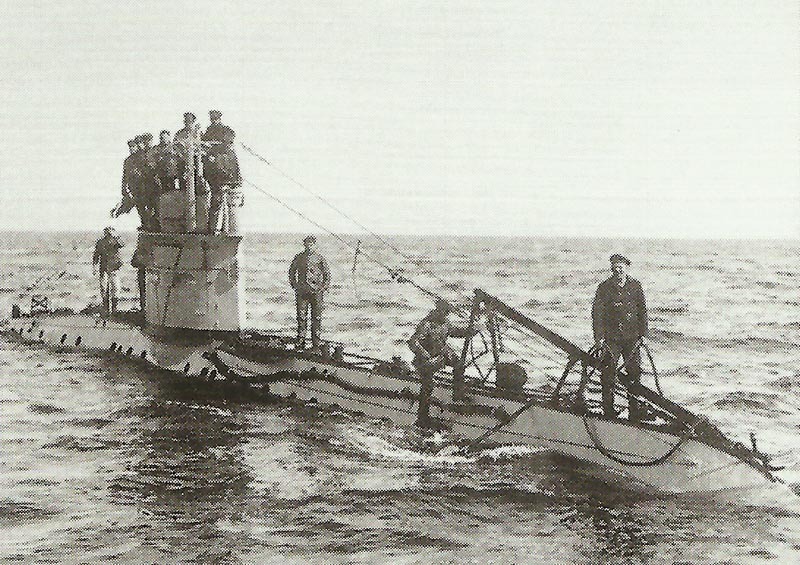 The small German UB-1 class are coastal submarines which could be transported by rail to their area of operation. They are used either in Belgium or later in the Adriatic Sea. Germany: First UB-class coastal U-boat UB-1 launched at Kiel, completed in 75 days. Class of 17 U-boats launched by April 23. North Sea: German aircraft sights Beatty’s force on reconnaissance sweep west of Heligoland Bight. Joffre admonishes BEF C-in-C that priority is massing of reserves rather than offensive towards Ostend-Zeebrugge. Alsace: ­German attack on Hart­mannsweiler Kopf pre-empts French offensive (fighting continues until January 22). Britain – FIRST ZEPPELIN RAID ON BRITAIN: German Navy airships L3 and L4 ineffectually bomb East Anglia in night 19-20 January. 20 civilian casualties including 2 children, £7740 worth of damage. 2 RFC FB5 ‘Gunbus’ (No 7 Sqn) fly first-ever night sorties but engine failures entail forced landings. Germany: Government protests to US against seaplane sales to Allies; Bryan replies on January 29 that this are not warships.